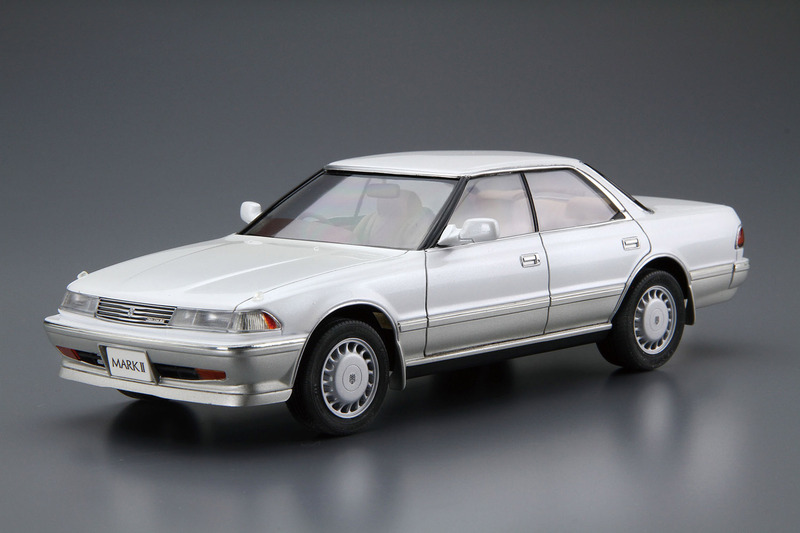 The X80 was released in August 1988 as a full model change 6th generation Mark II from the previous X70. The basic exterior design was inherited from X70, but with more curved surface style reflecting the trend of the time. From the 6th generation Mark II, all 6-cylinder engine models became 24-valve DOHC and equipped with strut suspension in the front and double wishbone suspension in the rear. 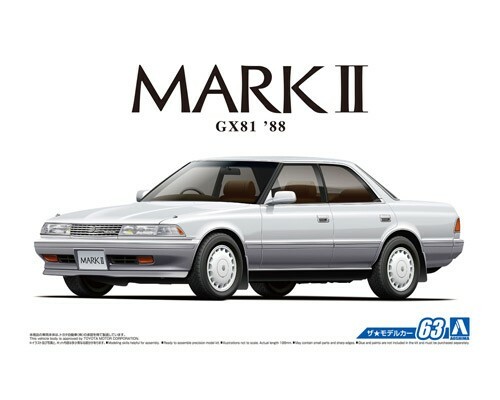 In the early 90s, Japanese annual sales of the Mark II surpassed Corolla for the first time, becoming the best-seller of the Mark II lineup. This kit replicates the GX81 Mark II in its catalog spec. 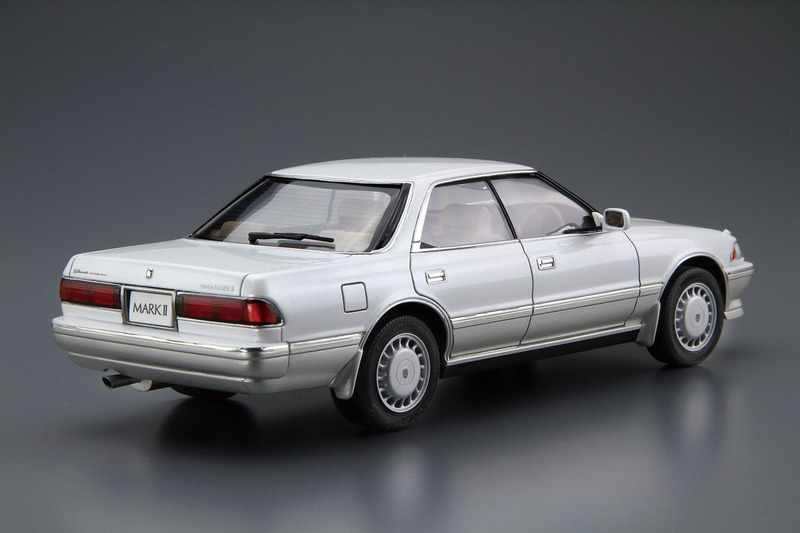 The kit is selectable from the high-grade models Grande G, GT Twin turbo or Grande Twincam 24. Additionally, with the replicated 1G-GZE/1G-GTE engine and genuine aero parts included, you are able to build the kit to your preference.